During the year each teacher tailors the program to fit his or her curricular needs. Therefore, each program is unique. TIC has interdisciplinary applications in science, social studies, mathematics, language arts, fine arts, and physical education. In each state, Trout in the Classroom is funded by a number of generous supporters and made more rich through varied partnerships. 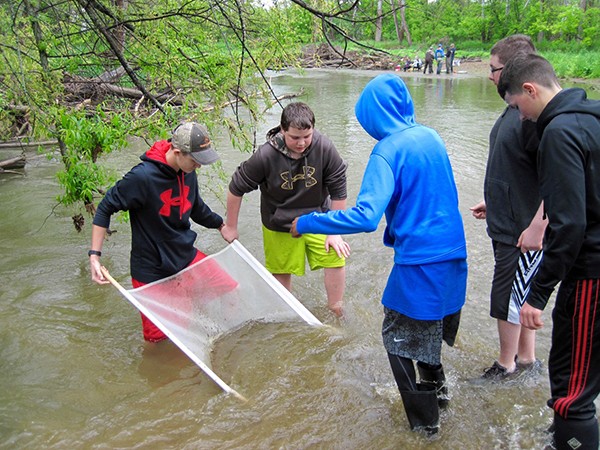 Currently, the Clear Fork River Chapter sponsors a half dozen TIC programs in area schools. 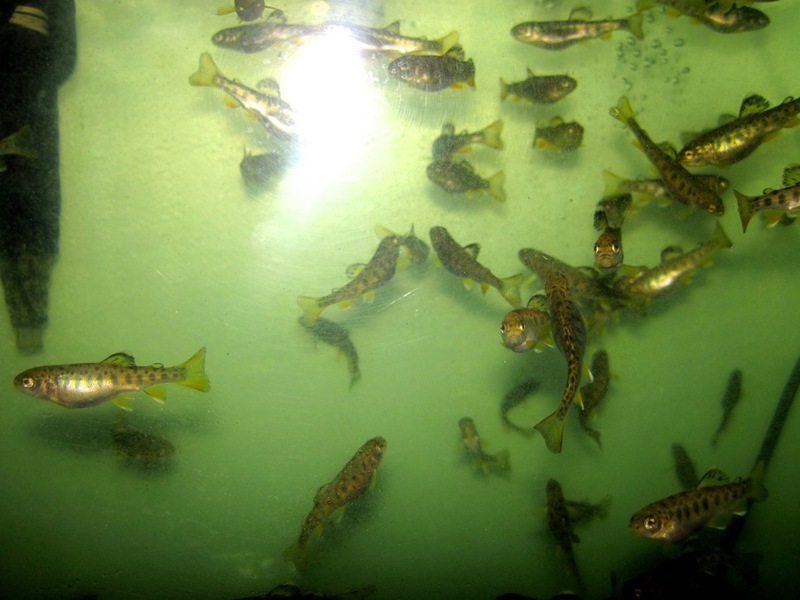 It takes about $1,000 to set up a trout-rearing tank, with most of the cost going toward a water chiller (trout like cold water). The cost for subsequent years is minimal once all equipment is on hand after the first year. 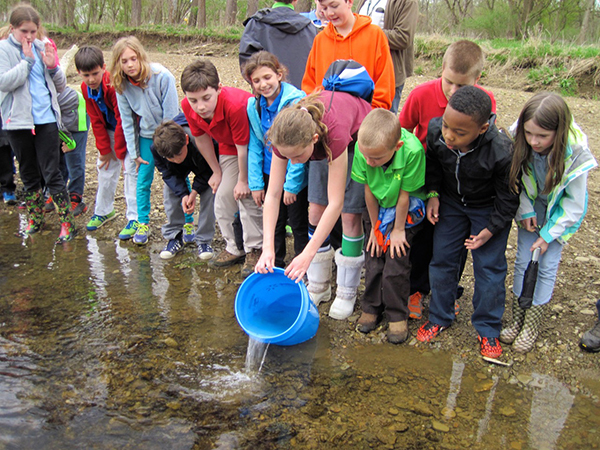 The program begins in January when classrooms receive fertilized rainbow or brown trout eggs from an Ohio Division of Wildlife fish hatchery and ends when trout fingerlings are released into a stream (usually Apple Creek in Wooster) in May. 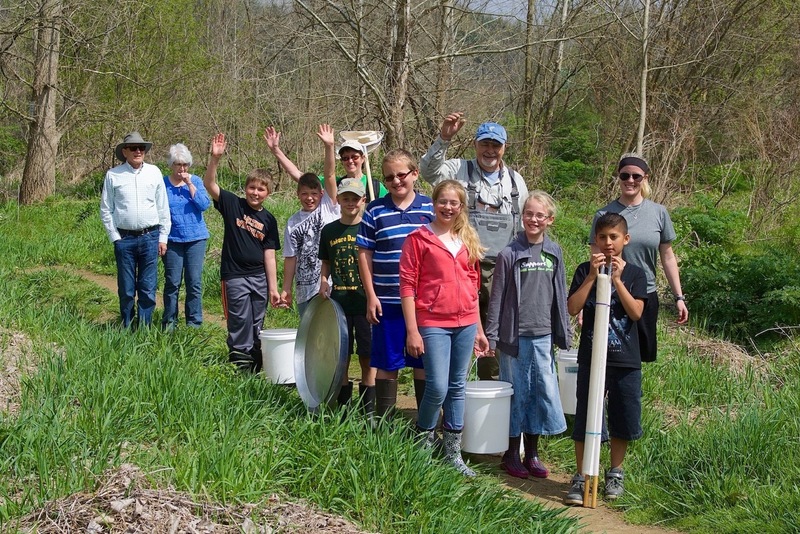 On the day of the release, kids learn about stream ecology and sample the stream for aquatic macroinvertebrates, the insects and their relatives that trout feed on when living in the stream. They also clean up trash from the stream. The chapter can direct interested teachers to funding sources so that equipment can be purchased. For more information, visit the website www.troutintheclassroom.org. Those interested in participating in the program should contact Anthony Salupo, our TIC coordinator at Contact Us. Click on pictures for larger images and captions. 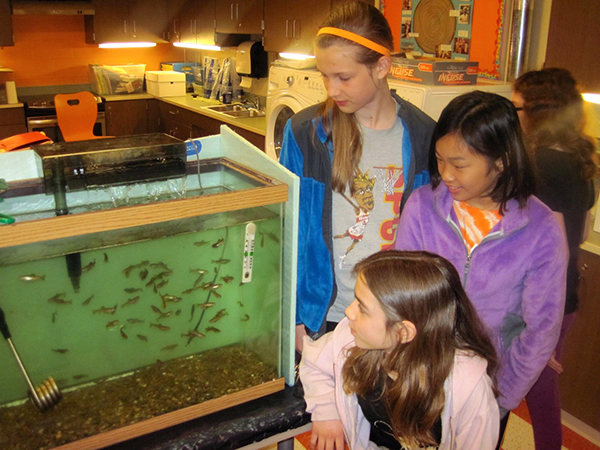 School kids watch trout grow from fertilized egg to several inch long fingerlings over a 5-month period. Rainbow trout fry growing fast in a TIC 55-gallon tank. A chiller keeps water temperature at about 55F. 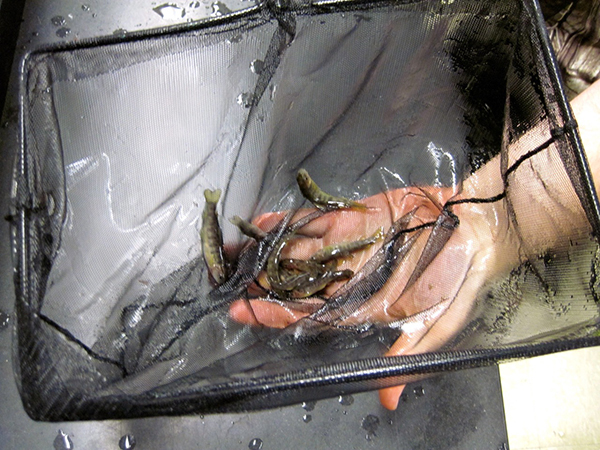 Brown trout fingerlings are removed from a rearing tank and are ready to transport and stock in a stream. 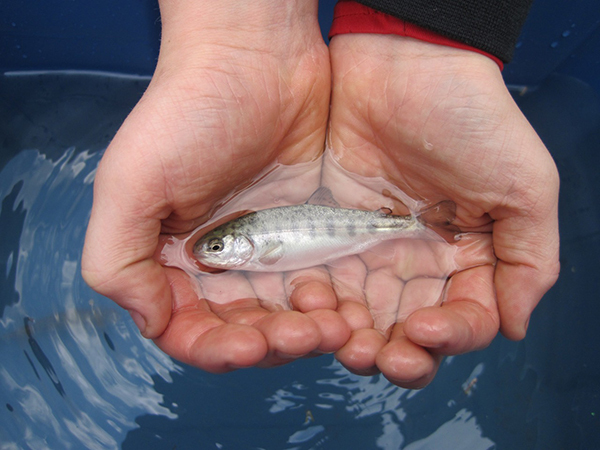 A rainbow trout fingerling ready to stock. 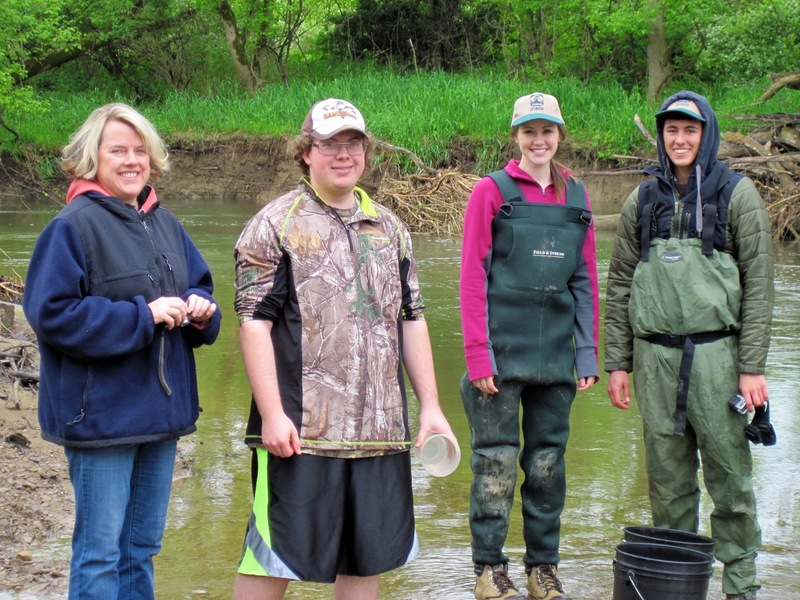 Anthony Salupo (far right), TIC coordinator for the CFRTU chapter, helps with the release of trout reared by Mt Vernon high schools students into Apple Creek. 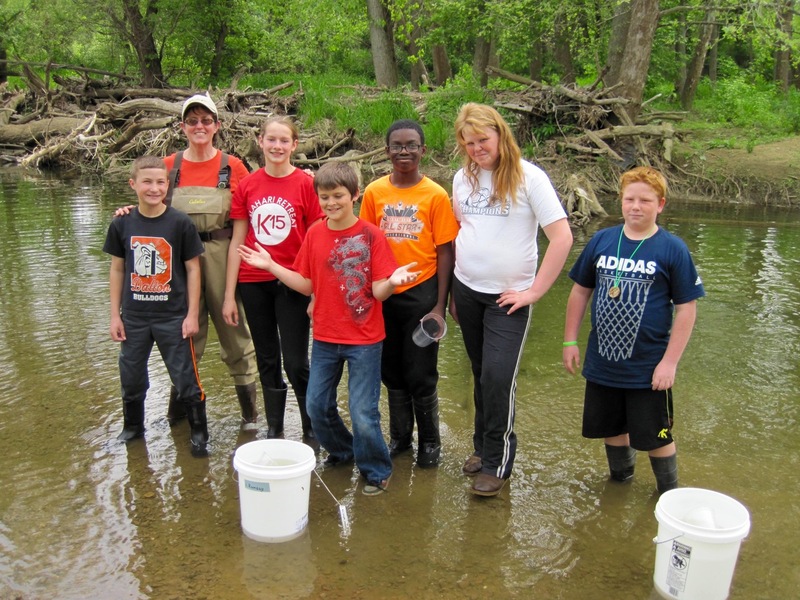 Down to Apple Creek with fish in buckets and tools to sample macroinvertebrates. 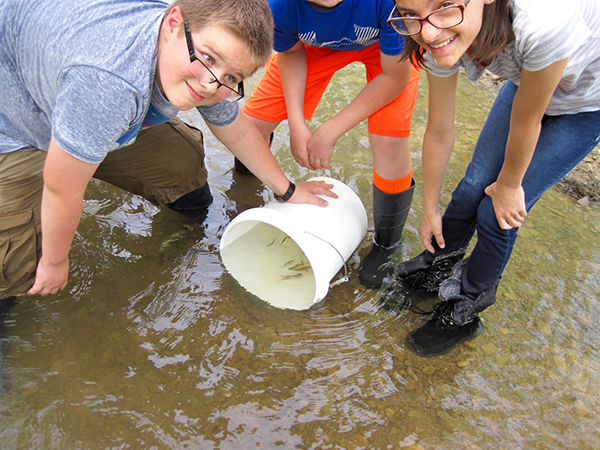 Dalton Middle School students (with teacher, Mrs. Grimm), acclimate trout to creek water before they are released. And away they go, the fingerlings that is. Some of those fingerlings are not ready for the creek it would seem. 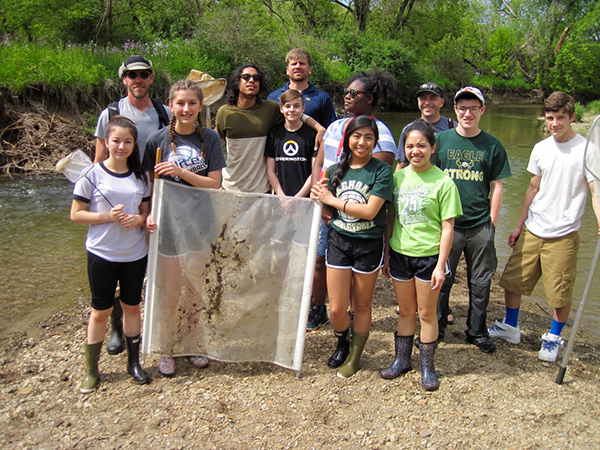 While trout fingerlings acclimate to creek water in their buckets, GlenOak high school students prepare to sample macroinvertebrates that trout feed upon after release into the stream. Sampling macroinvertebrates with a kick seine. 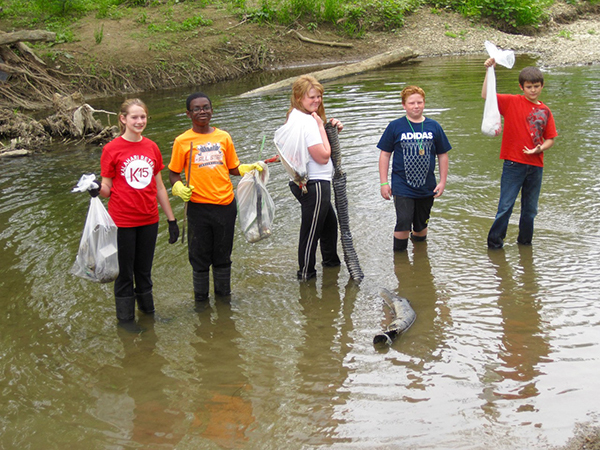 Last but not least, removing litter from the stream.